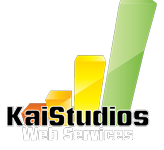 Kai Studios Inc is a Google® AdWords Certified Partner. The Google AdWords Certification Program is a globally recognized stamp of approval which showcases knowledge of the latest AdWords tools and best practice techniques and enables our SEM specialists to effectively manage AdWords campaigns. Kai Studios Inc is a Yahoo Ambassador. The Sponsored Search Ambassador Program is designed to meet the needs of high-performing SEMs and other resellers who develop and maintain Yahoo! search advertising campaigns for their clients. Developed for those managing Yahoo! Search Marketing accounts on behalf of clients and achieve an aggregate spend of at least $10,000 per month, Yahoo! provides dedicated account management, free custom proposals for clients, sales collateral and more. The Microsoft adExcellence program is the official accreditation program that gives advertisers the opportunity to become a Microsoft adCenter expert. The program offers both free training materials and a fee-based examination, thus providing adCenter advertisers the ability to gain valuable adCenter knowledge and demonstrate their expertise.